Look how creamy it is! 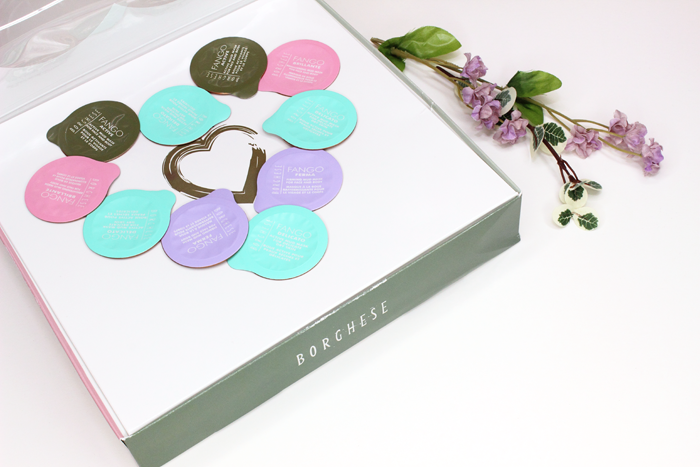 I was so excited when I was given the opportunity to try these wonderful looking mud masks from Borghese. 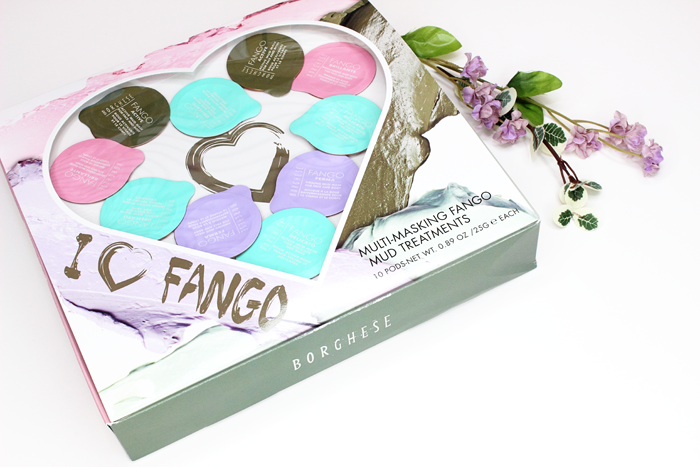 The product featured above is the Heart of Fango. The Heart of Fango includes 10 individual pods arranged in the shape of a heart. And it arrived just in time for Valentine’s Day! The timing couldn’t be more perfect! 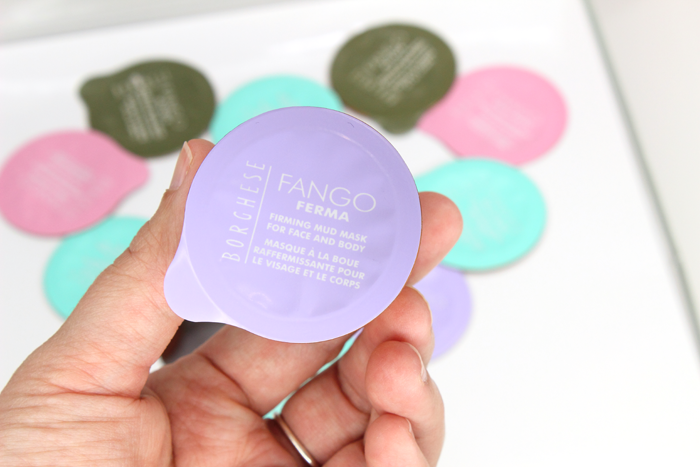 My skin is pretty sensitive so I started with the Fango Delicato Active Mud for Delicate, Dry Skin. The first thing I noticed was the pleasant, fresh scent. I dug right in and applied a thin layer all over my face. 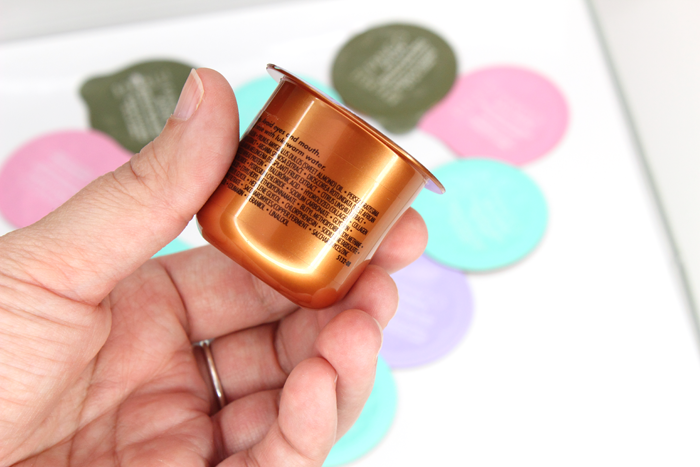 The directions do say to apply a thick layer and rinse with a washcloth and cool water. But since my skin is so sensitive I figured if I applied a thin enough layer I might not need the washcloth which is too harsh on my skin. Anyway, the texture was so thick and creamy. It glided onto my skin effortlessly. Immediately afterward my face got a little tingly. That lasted for about 1-2 minutes then it started to feel cool. I kept it on for 10 minutes and then washed it off. Turns out I needed the washcloth anyway. Oops! Because of that my skin was a little red and irritated for a little while afterward. 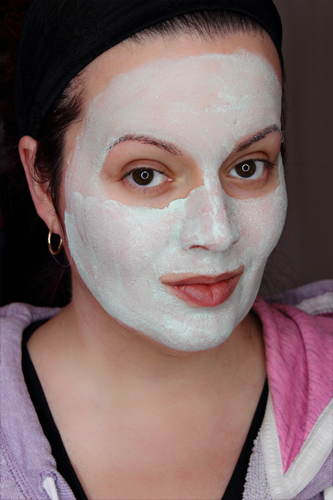 Usually if I apply a thin enough layer of my volcanic ash mask, a washcloth isn’t needed for removal. I guess the mud is just thicker and richer? Afterward my skin felt incredibly soft! 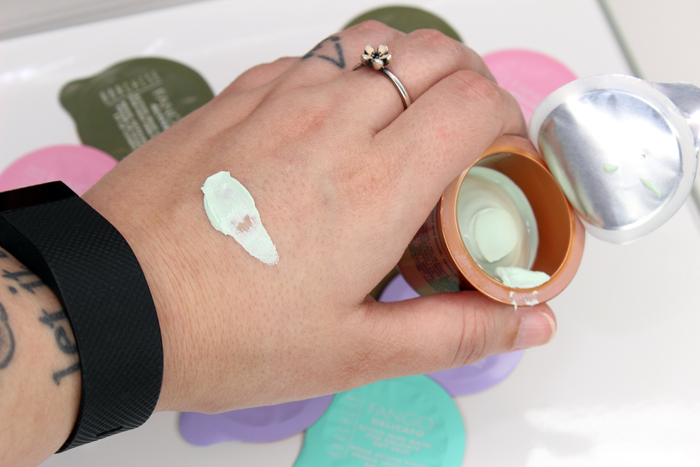 My skin wasn’t left feeling tight or dry. It felt cool and refreshed. And I didn’t notice any new breakouts immediately after or the following day. Which is always a good sign! Especially if you have such sensitive skin. Honestly, I didn’t notice much of a calming effect, but my skin does feel hydrated. It doesn’t feel as dry as it did prior to using the mask. The pods contain a lot of product. Even if I did apply a thicker layer I’d still have a 1/3 of the pod leftover. My only real issue is that the pods don’t reseal. So you have to put it in a container to keep it from drying out. You can see Fango Delicato Active Mud in action below. You’re welcome lol. Overall this is a great gift set. 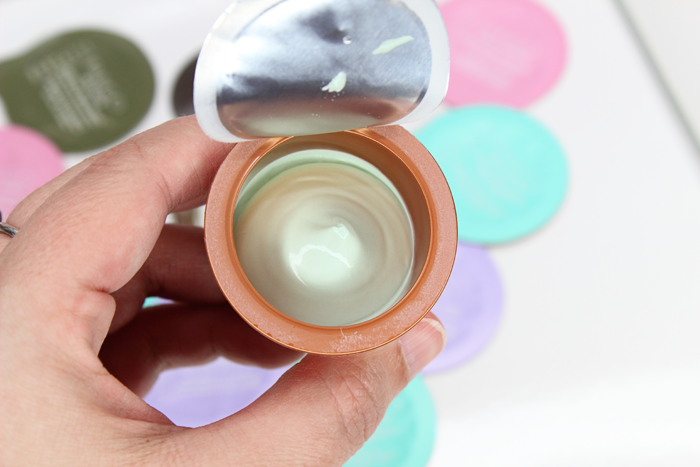 I love the idea of mixing it up and applying different muds to different areas to match your skin care concerns. I’m actually planning on purchasing one for my mother-in-law because this is right up her alley. And I’m not trying to part with mine. I’m usually not so greedy (I swear! ), but it’s so relaxing to just sit in a hot bubble bath rocking a mud mask. Sometimes you just have to pamper yourself. So I tucked mine away for just that.